Every product in the market these days has major competition. Selecting a brand or product can be a nightmare with the number of choices and options available. 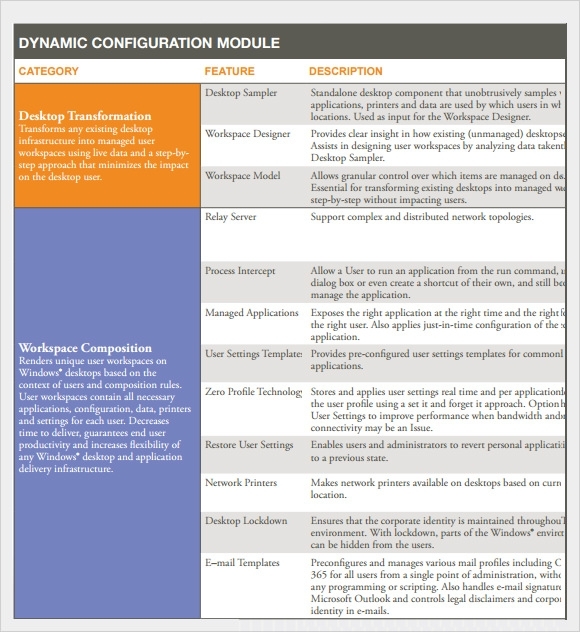 To simplify the process of selection, we have for you the comparison Chart Templates. 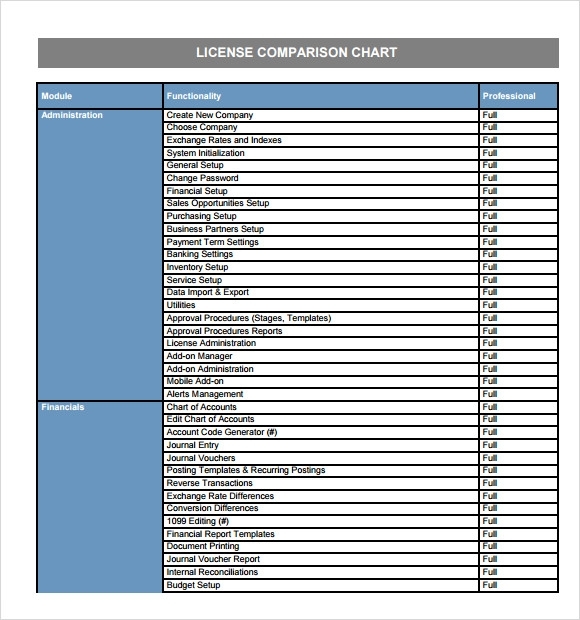 Available in Word and Excel formats our comparison chart templates are absolutely free of cost. The templates contain several rows and columns to fill in various product or brand details, prices of each respective product, pros and cons of the products and other important and relevant information and data. Select and download the format of your choice, fill it in, print it out and study it before selecting the product you will purchase. 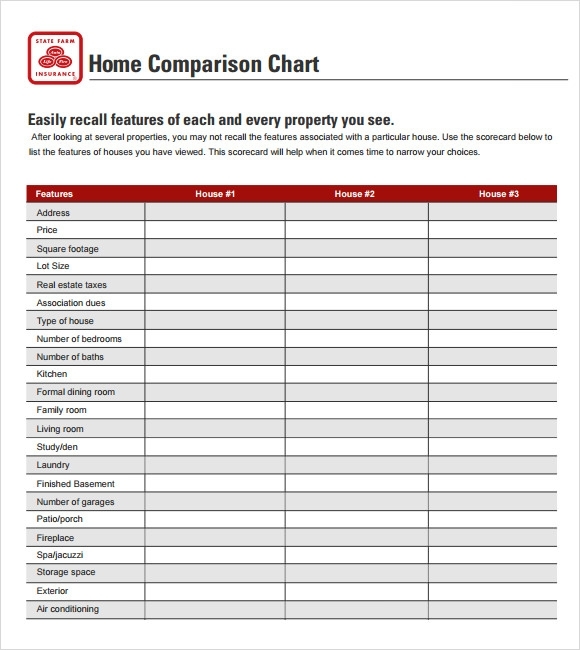 The comparison chart template features the details of all the properties you’ve seen so far. You can just fill in the details about different properties in provided columns. It helps you choose the best one after recalling the features of all the properties. The comparison chart template download aims at comparing different categories by stating all their prominent features in a column and further providing the descriptions of those features. All this is needed to be written in designated columns. 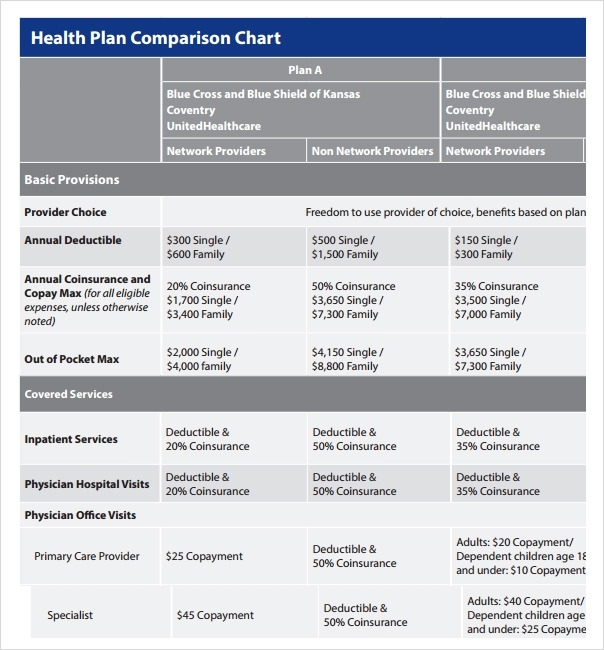 The blank comparison chart template compares the different health plans by highlighting all the features provided by them. These features are categorized in headings like basic provisions and covered services. By showcasing all these details about all the plans, it helps in selection of the best suitable one. 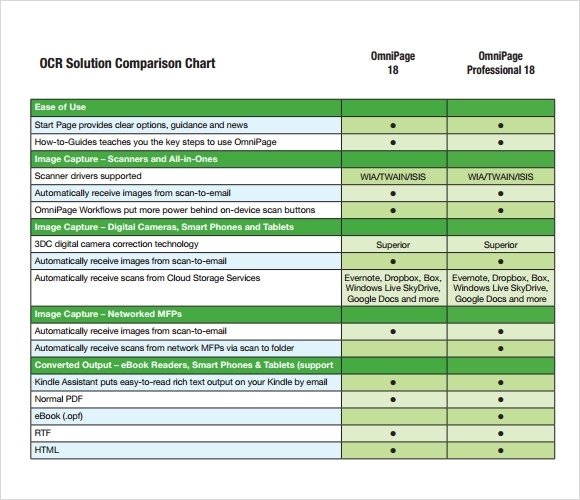 The comparison chart format template provides a well-framed format to compare different OCR solutions. It has a list of features given to make the comparison effective and easy. This template has a user-friendly outlook and therefore, can be used with ease. Why Does the Comparison Chart Template Needed? The comparison chart template is needed to select the best suitable option out of various choices provided to you. It categorizes the different choices available and states their features or details to make the selection further easier. These templates can also be edited if there’s any need to add or delete any feature. You may miss out on a very prominent detail or feature and make the wrong choice, but this template helps you to keep a record of all the information in a neat and precise manner which makes it effortless to recall them while making the choice. When Does the Comparison Chart Template Needed? The comparison chart template is needed when there are so many choices available and you are not able to choose the best one for you. This template helps in comparing all those choices by showcasing their description and prominent features. All these features are to be written in designated columns which make the presentation neat and crisp so that best selection could be made. It also helps in avoiding or clearing out the confusion about the different products. 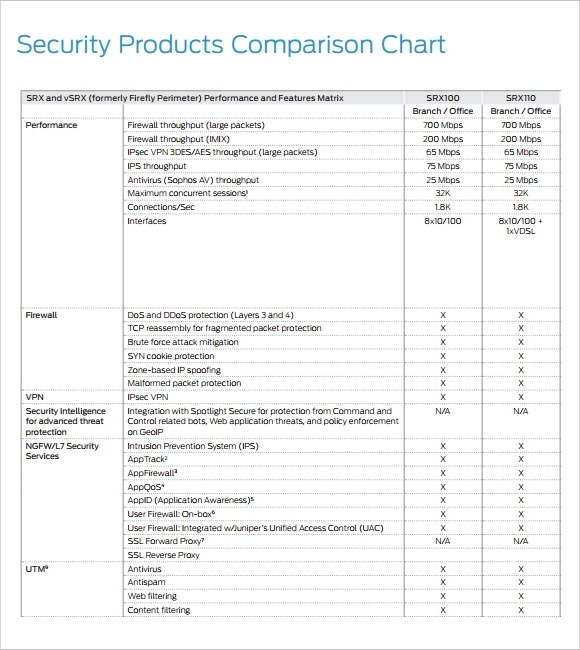 This comparison chart can be used by anyone for several purposes like before buying any product or service, before buying the property, before opting for a health plan and more. The comparison chart template helps to compare different products or services and then to select the best suitable one for you. It features all the important details of all the choices together so that the choice can be made effortlessly and within no time. This organized presentation of the information makes it incredibly easy to make the best selection. Also, the various designs of comparison chart template are available to choose the one that fulfills your purpose and need. It can be edited easily so as to add or delete any feature. These templates help in saving a lot of time. 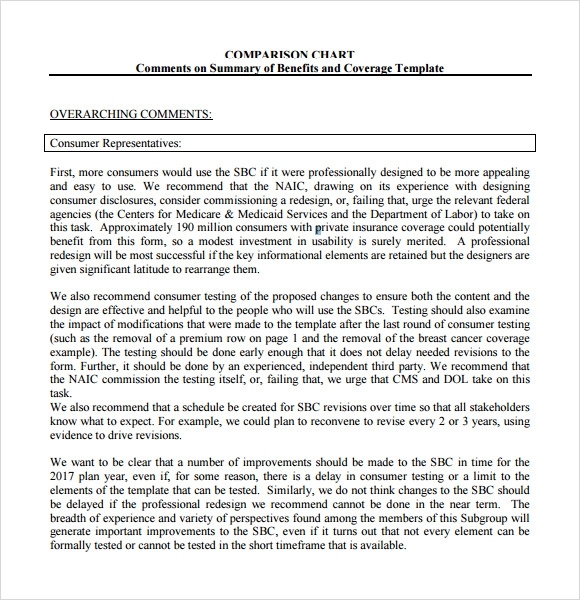 The comparison chart template can easily be downloaded from the internet and can also be edited if desired. It provides great assistance in recalling the features of different options available and choosing the best suitable one. These templates have user-friendly outlook and can easily be used for a variety of products and services.